Back on October 26, 2018 in Brisbane, Queensland, Australia, the Yeerongpilly Green project to green and revitalize the public parks—and to create a green pedestrian “spine” in the heart of the city—was officially opened. “This enhanced connectivity between Pat Rafter Arena and the railway station is going to make getting to and from the Brisbane International so much easier. Around 90,000 people attend this great tournament over its seven days, so this infrastructure is really vital to managing the masses and growing the event further,” he continued. Consolidated Properties Group Executive Chairman Don O’Rorke said to create this wonderful environment near the city with key transport links, while providing amazing elements of lifestyle infrastructure for the local community, has been very fulfilling. “Yeerongpilly Green is one of our flagship developments and we are extremely proud to have partnered with the state government in its creation,” Mr O’Rorke said. Tennis Queensland CEO Mark Handley said the opening of Yeerongpilly Green and the pedestrian spine means the tennis journey for sports fans will start the moment they step off the train. “Whether people are attending the Brisbane International, or just visiting the Queensland Tennis Centre throughout the year, their walk towards the iconic Pat Rafter Arena will now be so much more, with restaurants and social spaces enhancing the experience,. The beautification of the Yeerongpilly precinct makes it an even more attractive pocket of Brisbane for residents, families, and everyone using the tennis centre,” he said. Now, on January 15, 2019, Consolidated Properties Group has taken the next step in this massive revitalization of Brisbane’s urban core by launching a $250 million redevelopment program at its Yeerongpilly Green redevelopment project. It’s led by a commitment from Woolworths to anchor the planned shopping hub at the heart of the new community. Woolworths has been named preferred proponent to operate the supermarket at Yeerongpilly Green’s shopping hub which, pending Brisbane City Council approval of the development application, will start construction during 2019. 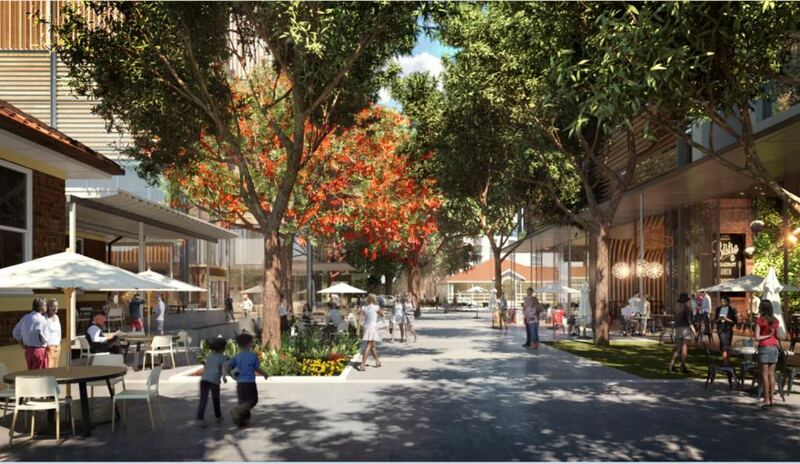 The shopping hub is at the heart of the $850 million Yeerongpilly Green development, which will ultimately comprise more than 5,000sqm of retail complemented by restaurants, commercial buildings, five hectares of parkland and a boutique hotel, all at the doorstep of the community’s proposed 1,200 dwellings. In preparation for the shopping hub and first stage of the new community, Consolidated Properties has this week commenced a $10 million restoration program for two heritage-listed buildings: The Institute (a brick building) and The Stables (a timber building). Following the restoration, The Stables building will serve as an “experience centre,” incorporating a new Yeerongpilly Green sales and display suite. Don O’Rorke says he anticipates the new sales and display centre will be complete by mid year, paving the way for the launch of Yeerongpilly Green’s first residential precinct in August. “We are aiming to launch our first three boutique and bespoke apartment buildings on August 3, with Park House comprising just 35 apartments, Garden House comprising 56 apartments, and Green Terraces comprising ten luxury townhomes. We anticipate pricing in this first stage will range from about $450,000 through to $1 million-plus,” he said. “Brisbane City Council issued approval about a month ago for the first residential stages, and we are already receiving enquiry, which demonstrates that the market has remained buoyant and receptive towards high quality property close to the city and surrounded by excellent amenity. Woolworths’ commitment is the catalyst for the development of Yeerongpilly Green’s village heart, which will be a major drawcard for prospective purchasers looking to secure a home in the first stage of this vibrant riverfront community,” he explained. Woolworths’ Queensland State Manager, Matthew Franich said the company was thrilled to secure one of the key retail tenancies in Yeerongpilly Green, which is located just six kilometres from the city and adjacent to the Queensland Tennis Centre. “At Woolworths we pride ourselves on delivering high quality products at great value for local residents, and we are delighted to be a part of Yeerongpilly Green’s future. Our full-line supermarket will generate 100 jobs for the local community once completed, joining the more than 40,000 Queenslanders who work with the Woolworths team statewide. We look forward to delivering local residents, and the broader south-west Brisbane community, an essential and convenient shopping experience in one of Australia’s most modern supermarkets,” Franich said. O’Rorke said Consolidated Properties was also issued approval for the first commercial building in Yeerongpilly Green. He said the $30 million office complex, which offers a total 7,000sqm of floor space, is already under negotiation with an occupant looking to purchase and occupy the whole building. “Hutchinson Builders has been appointed to deliver the first phase of residential and commercial buildings on site, and it’s estimated that this will create opportunity for 1,709 construction workers, of which 68 will be apprentices, 218 will be female and 51 will be indigenous,” he said. 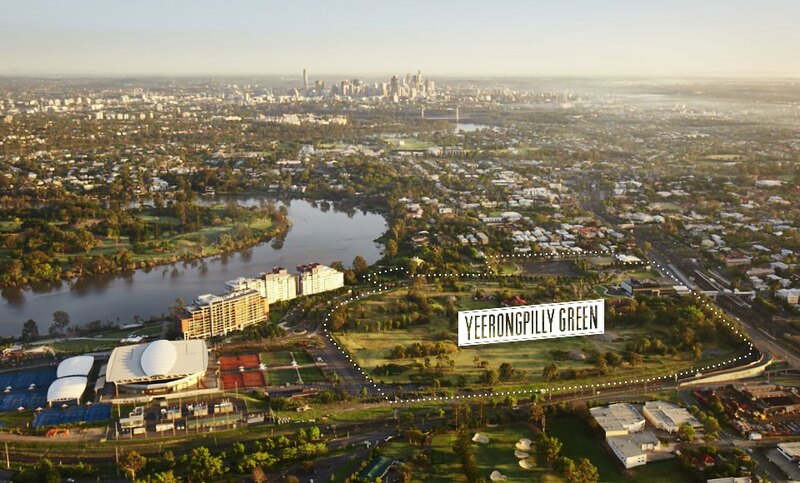 “Over its ten year lifespan, it’s estimated Yeerongpilly Green will generate more than 6,600 direct and indirect jobs. We are proud to be working in partnership with CVS Lane Capital Partners, Hutchinson Builders and the State Government to deliver Yeerongpilly Green, which is Brisbane’s largest new urban regeneration project and a new destination in its own right,” he added. “It is commendable that 19 percent of Yeerongpilly Green will remain as publicly accessible parks and pedestrian space and that Consolidated Properties is working to preserve the heritage of Yeerongpilly by including historical buildings into its masterplan. 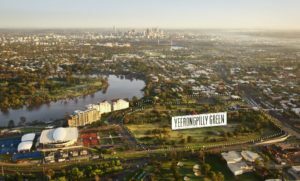 I look forward to watching the evolution of Yeerongpilly Green over the next decade,” he concluded. Images courtesy of Consolidated Properties.